Tomorrow I have heart surgery. We went to class today at the surgeon’s office to get ready for it. Medically, the procedure that is scheduled is called “Minimally Invasive Mitral Valve Prolapse Repair/Replacement”. But, the fact the fact that someone is going to cut a hole in my side, spread my ribs apart, deflate my lung, stop my heart, cut into my heart, operate on a valve, restart my heart, and close the incisions leaving me with a chest tube, a catheter, and ventilator tubes in me doesn’t sound very “minimal”. I’m not whining. Multitudes have worse diagnoses than mine with little hope for surgical repair. I’m just saying that something so involved can be called, “minimal”. It is “major” to me as the procedure will bring a level of health I haven’t known in years. As I head to sleep this night, I remember the prayer of my Savior, “if it is possible (if there was some other way to bring about life) let this cup pass.” Like Jesus (and I am definitely not like Jesus) I don’t want to go through the pain and recovery of this surgery. But because there is no other way to life than this, no other way for me to be the strong husband, father, pastor, man that God needs me to be and that I want to be for God, I will go through this. So, what I’m trying to say, is that I get it. Once again, I get it. 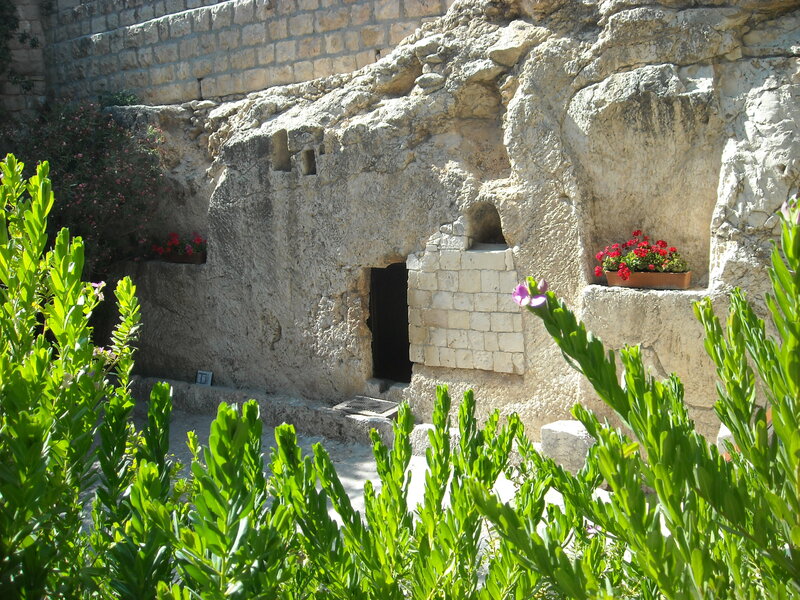 I get in the tiniest fraction that my human mind and eternal soul can grasp what Jesus was praying in that Gethsemane Garden. He new what was best, but he was going to go through even worse physical abuse than I will and he did it without anesthesia, antibiotics, painkillers AND without a lot of friends and family around to cheer Him on telling Him that He was doing the right thing. I’m nowhere close to experiencing what He did, but He is letting me understand Him more. And, that alone is worth it! Thankfully, there will be more. More life. More love. And, yes, more Jesus! One of the greatest parts of this journey has been having my son, Caleb, along. He could’ve done a lot of other, safer, usual things with his spring break week. Instead, he chose to come with me to Ramallah to visit the church here, and to see some of the many Holy Land sites. I have to say, Caleb, has been one of the best travelers on a mission journey I’ve seen. He has engaged himself in each moment. He has eaten all the foods put before hime (okay, what 18 year old doesn’t). He has genuinely related to every person we met. He has taken alone time for reflection. He is draining every last drop of experience from this journey. Through the Damascus gate, we walked into the Old City of Jerusalem, strolling past opening shops as the morning hustle and bustle began. Making our way through the different quarters of the city (Christian, Jewish, Moslem), I noticed how the “people on the ground” coexisted, not conflicted with one another. Again, we were early to arrive at the Church of the Holy Sepulcher. With no line to speak of, we entered the tiny “chapel”, remembering once again, the tomb of Jesus’ no matter how ornate man could make of the spot, is empty. Praise God! Examining the rest of the church, I was once again struck by its evident beauty and craftsmanship. Even so, this church is filled with different church traditions (catholic, anglican, protestant, orthodox) who regularly compete with one another. They can’t agree on who should lock the door, so a Palestinian family is in charge of the keys. Soon after, we arrived at the Wailing/Western Wall, seeing the ancient foundation stones and those drawn to their touch. I rejoiced in the fact of Jesus’ words that He is the temple, and no other need be built by human hands. His presence is in those who follow Yeshua of Nazareth, not a few acres of rock. 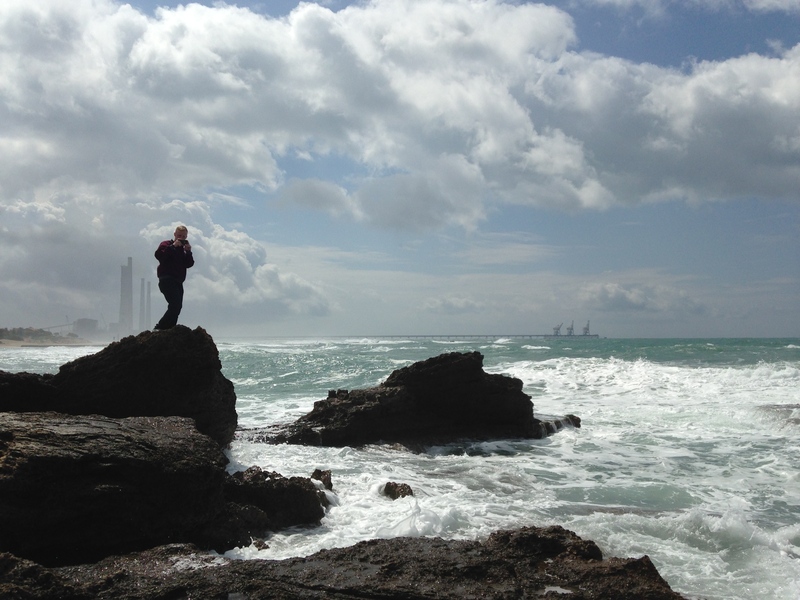 After dropping off the Jacksons at the Tel Aviv airport (BTW they arrived at their destination safely) we went exploring with Michael Kakish. One of the great exploration areas was the Elah Valley, mostly known as the location where David slew Goliath. Yes, we picked up five smooth stones from the creek bed, and thought of the “giants” we face. The evening was spent at the Home of New Life visiting with the boys there and playing soccer (football) with them. Of course, they’re good. Tomorrow we travel through Samaria, and will see Jacob’s Well at Shechem. In the evening we will worship with the church in Ramla (near Tel Aviv) and encourage this dynamic congregation that is reaching out in extraordinary ways in their community. Wednesday we will be traveling home, so I’m not certain I’ll be able to post. 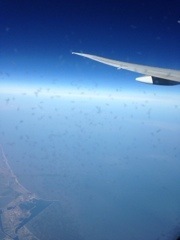 That said, thank you for reading this blog and praying for our journey. It has been a time of bonding for those who came together and a time of encouraging the church in the Holy Land. It has definitely been worth the time in preparation and prayer, and yes the jet-lag. It has been worth the time spent learning more about the times and places when the Son of God walked the earth. It has certainly been worth the unforgettable time spent with my son. Part of our purpose here is to see holy sites and learn facts about them. It’s more meaningful to be in a small group and allow time for personal reflection at each location. Because we travel around in vehicles, not on a bus, we get to make the most of our stops. (FYI, if you go on a Holy Land trip with a tour company, I think you’ll be blessed, but I don’t think you’ll have as personalized an agenda as we did.) Because the last two days (Saturday and Sunday) were so full and I couldn’t get an internet connection to post, I’m packing two days into one post. That’s okay, because we packed two days of touring into one all the time. Leaving early on Saturday, we travelled back to the Sea of Galilee and down the Jordan River Valley, watching the green fields of Galilee become the sparse hillsides of Judea. 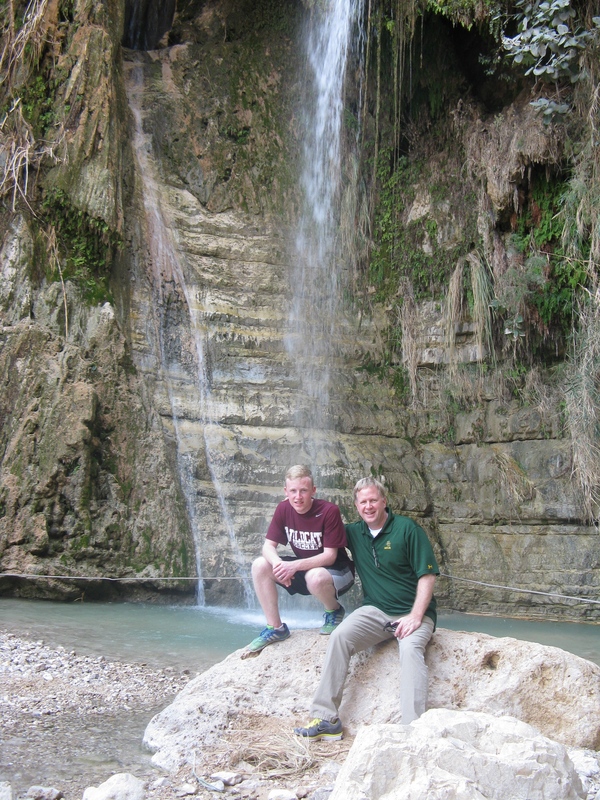 Our goal this day was very ambitious – Jordan River, Masada, Ein Gedi, and Dead Sea. Each of these sites have a special story, and each had their own experience for us. We looked, we marveled, we hiked, we swam. Then we made it to Ramallah for supper and the best brick oven pizza anywhere, then slept like bricks. Sunday began with worship at the Ramalla Baptist Church. Then after lunch, we went to the Mount of Olives, Garden of Gethsemane, and Bethlehem. For supper we were in the home of our dear friends, the Lada family. Another very full day. If the above paragraph seems lacking in detail its’ because the site-seeing isn’t the most important part of our journey (although it is incredibly moving!) The trip hit the high gear when we got up on Sunday and headed to worship with our sisters and brother in Christ at the Ramalla Local Church. In some ways, its similar to many American congregations (a lot of people didn’t show up until the second or third song.) 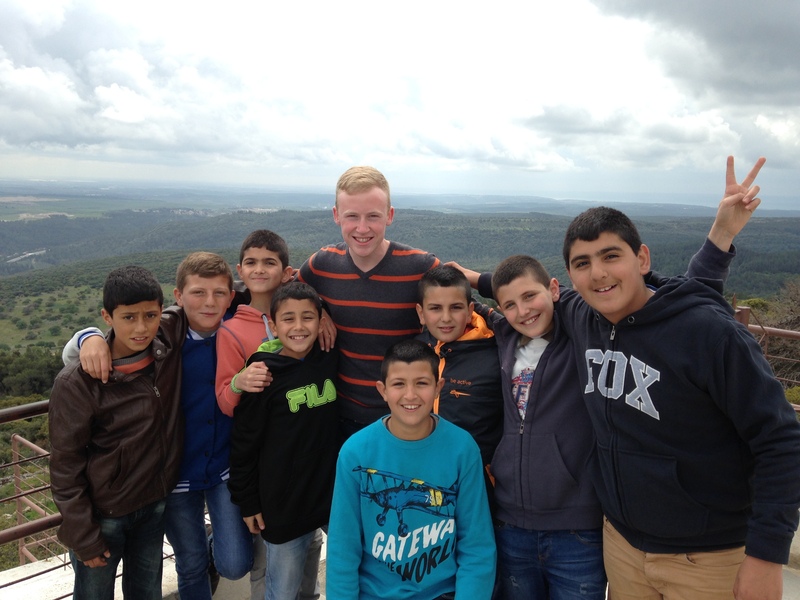 In many others ways, it is not (Evangelical Christians are a small minority in the West Bank.) 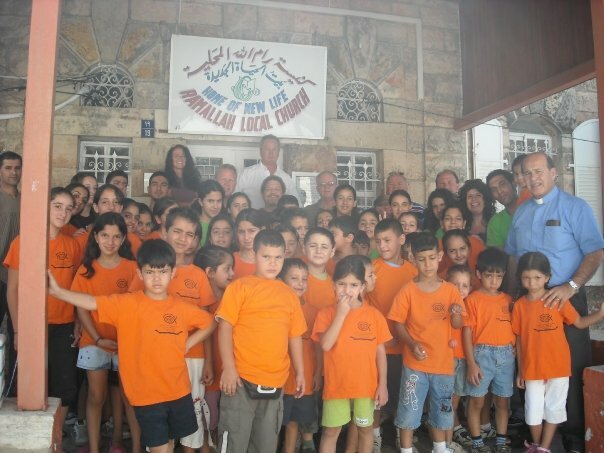 Through diligent work and faithfulness from the body and her shepherds (Pastor Munir Kakish and his son Michael Kakish), the church enjoys an excellent reputation and influence in the key city of the West Bank. I haven’t been here for five years, but my first steps through the gate into the courtyard were overflowing with memories of previous trips. Soon familiar faces of men that befriended me on previous trips arrived and greetings and embraces were exchanged with the emotion of brothers long apart. For me, it was another reminder that Heaven is a great reunion for people of Faith in Christ. At the gracious request of the pastor, I was able to bring a message of hope to the congregation and greetings from our church, First Baptist Church, Palestine, Texas. We shared a meal for lunch and I was filled in many ways. Being with the believers here and encouraging them is the most important part of the trip. You see, many Christians come to the Holy Land with the agenda of seeing inanimate sights or dwelling on Biblical prophecy, but while they are on that bus they miss the real value of anywhere – the people. God didn’t send his Son into the world for catchy conclusions about ancient columns, fortresses, or (monument) church-buildings. He sent his Son to call people to follow him. It makes me sad that the bus-riders never spend time getting to know Christians in the Holy Land, getting embraces, sharing excellent meals, and practicing for Heaven. Getting off the bus and into homes makes the issues here real. Peace in the Holy Land isn’t going to come by spouting Biblical prophecy, supporting (or maligning) a political agenda, or advancing militant ideology. Peace will come not from better negotiations or stronger armies. Peace will not come from gaining acres of land for one group or the other. Peace will come from gaining hearts. The real promised land here is the people. If more Christians came here and were not on a bus, but in church pews worshipping with Christians here, be they Arabic Christians or Messianic Jews their trip would be a greater blessing in multiple directions. Strengthening the church here may be the most important thing you can do to bring peace to the people land. The church has the message of hope and you can’t preach that from a bus. 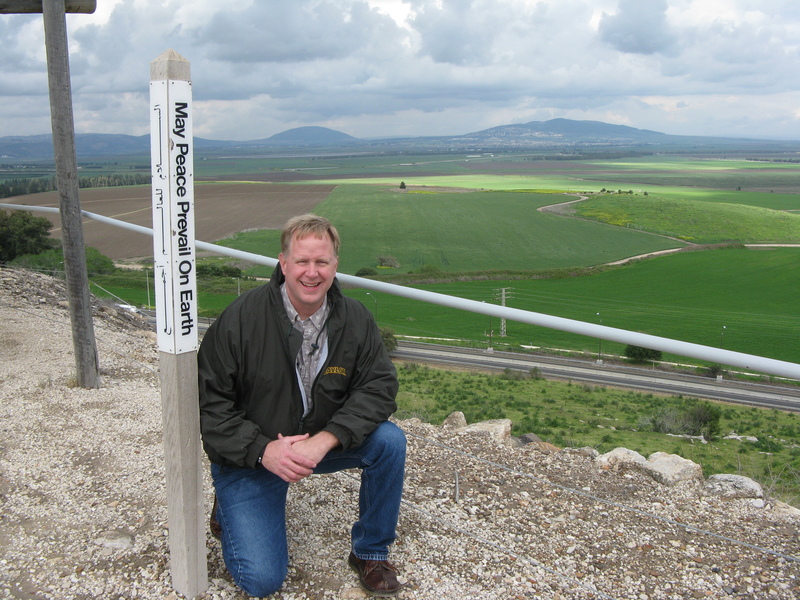 Today, I walked where Jesus walked…. Yes, that’s a line from an old song, but it was true for our team today. Starting in Nazareth at a reconstruction/reenactment of 1st Century Nazareth Village (excellent, by the way) and ending at the shores of the Sea of Galilee, we packed a lot into a day. We paused at the Mount of Beatitudes. 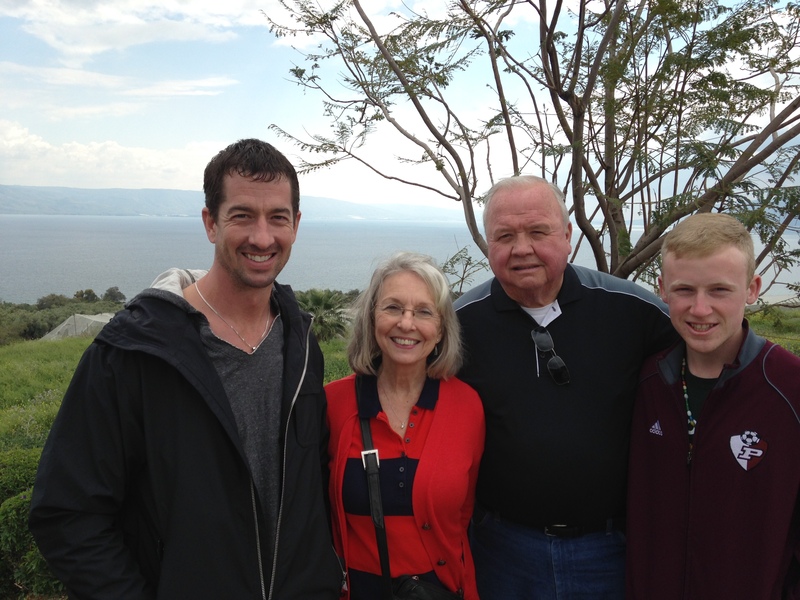 We strolled through Capernaum. We worshipped at the location where Jesus miraculously fed a multitude. We rested and soaked our tired feet in the Sea of Galilee near the place where Jesus asked Peter “do you love me?” (John 21). In fact, Jesus took about three years to minister in the areas we hustled to. However, when we paused at each stop, the Wind of God blew upon the visitors, and I was blessed to watch, listen, and reflect on each persons connection with the particular site. I’m thankful to have spent the day in many places Jesus taught and healed, but I’m even more thankful to be among people who are the modern-day holy sites of Jesus’ work. So church, try not to hurry too much from place to place without reflecting on the miraculous moments of Jesus’ ministry in you and through you. Somebody is ready to visit you today and see/hear/receive Christ’s love. How has your day gone? Exactly as expected? Have concerns blown your day of course? Read on, God wants to blow His breath upon you today. We started the day with a great hotel breakfast, Ramallah style (no waffles) and coffee. Michael Kakish met us early, and our team loaded up in the rain, a bit bummed that the weather was graying out a touring day. (I must to say, our hosts are wonderful. I really appreciate Michael Kakish taking time to tour us around for a couple of days.) However, the winds don’t always blow foul weather. So after storms all the drive north to Caesarea, the rain ceased followed by powerful, but cooling wind gusts, and welcome rays of sunshine. Winds change. The amazing thing about Caesarea is it started as a deserted beach, but Herod the Great wanted to demonstrate his engineering prowess and show off to the Roman Empire. So, he built a man-made deep-water port that would rival harbors of today. For four hundred years, the massive walls stood, but eventually they crumbled to the forces of wind and water. Today, ruins have been excavated and rebuilt to show the wonder of the site. It was an amazing city by the sea, but it’s still ruins today. It didn’t last. Nothing made by man will. Things Change. Next, we went to Mt. Carmel, where Elijah faced down 450 priests of the idol Baal (see 1Kings 18:16-39) to prove who’s deity was real. The real purpose was to turn the minds and hearts of the people back to God. Interestingly the crowd offers no response when Elijah calls the to faith in God (v. 21), but before the day was over, things changed. The Baal priests spent the day in worthless effort, but as probably know, God sent fire from the sky to consume Elijah’s sacrifice and the multitudes gathered to witness fell on their faces and proclaimed, “The Lord-He is God!” Attitudes change. A short drive took us to Tel Megiddo, the site of a fortified presence, guarding the Jezreel valley from about 6,000 BC to the reign of Ahab. With a commanding view of the strategic trading route below, whoever owned Megiddo would control great power and wealth. At its highest level Megiddo had palaces and stables and an ingenious underground water system. Yet, it was too valuable to stay in anyone’s hands forever. The fort was overrun and rebuilt 25 times, during its five millennia of use. Ownership changes. Across the Jezreel Valley to the North is Nazareth. Beautifully nestled in a mountain, the city bustles with activity today and is home to a cooperative community of Christians, Jews, and Muslims. 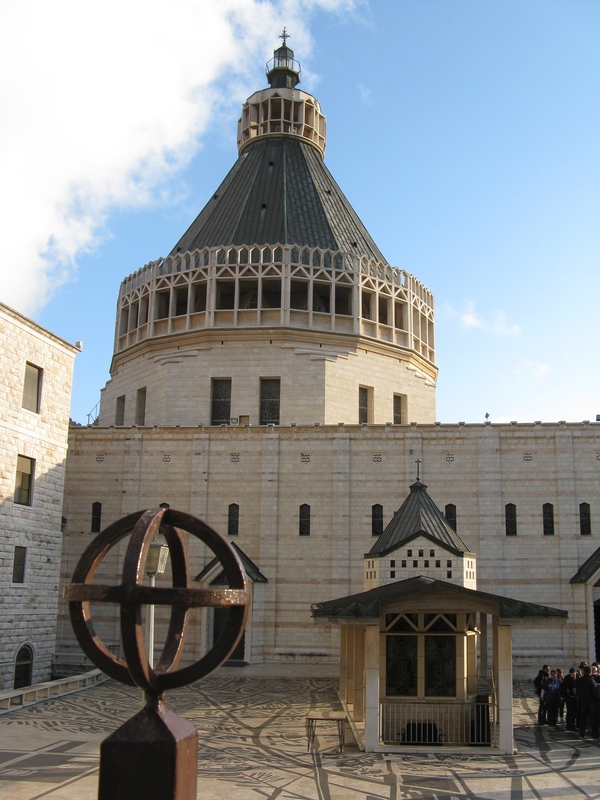 The Church of the Annunciation (the main holy site) is a multi-century architectural wonder. Underneath the modern church building is a tiny Byzantine era chapel built over what is believed to be Mary’s home where she was visited by the angel Gabriel and told of her special role in God’s salvation plan (Luke 1:26-38). Mary, full of grace, accepted with humble joy the calling of God on her life to be the mother of the Savior of the world. Not what she expected as awoke that day as a betrothed virgin, I’m sure. Life changes. 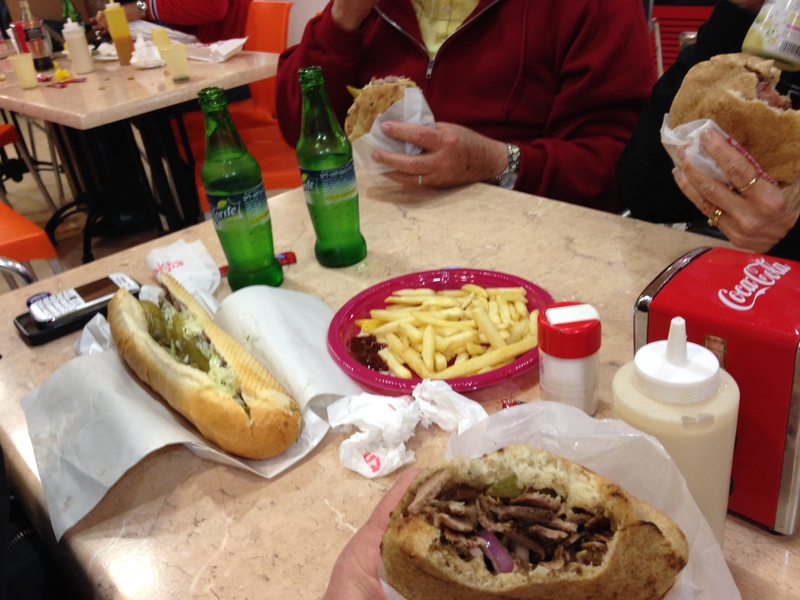 After a shawarma sandwich supper, it was time to head to our hotel. Because it’s the busy tourist season, Michael had to take a risk and get us lodging in a “Guest House”, called Betharram Center. On the way here, he apologized for not knowing much about it. He said, “it’s not a hotel. I’m sure it isn’t even one star. I hope its okay.” We all didn’t care, so we kind of expected a garage apartment with mattresses on the floor. Believe me, it would’ve worked for this exhausted troupe. After a lot of searching we found it. Michael was right, it is no hotel, but there aren’t enough stars in the AAA rating system for it. It’s a part of an old monastery compound and the rooms are wonderful. Humble, clean, comfortable…and wonderful. The chapel affords a time of prayer, and the lobby has wifi (that’s why you’re reading this.) I’ve learned today that definitions change. “Guest House” now means “worshipful rest area” to me. Expectations Change. I don’t know what may have been going on when you started reading this blog, but I hope you know that whatever your circumstance today, whatever your expectation, whatever your crisis, whatever your conflict, whatever your plan, God can blow a wind of change across you for the better. Let his Wind blow across your day, your life, your hopes. God, who has a love for you that will never change, will change you and your day for the better. Thank you for reading this and praying for us, as it’s really just another tale of how we got from point A to point B. But, like any journey (if you know how to look) we had pleasant surprises. Finally, the destination was why we journeyed. We had flights with no incidents, nice food and service, but it’s hard to beat the hospitality of the Kakishes. Pastor picked us up at the airport and got us to our hotel. Tomorrow we are up and out early to travel to Galilee. That’s when this blog gets going. Rest well, fellow travelers. May God’s Mercy be on you. 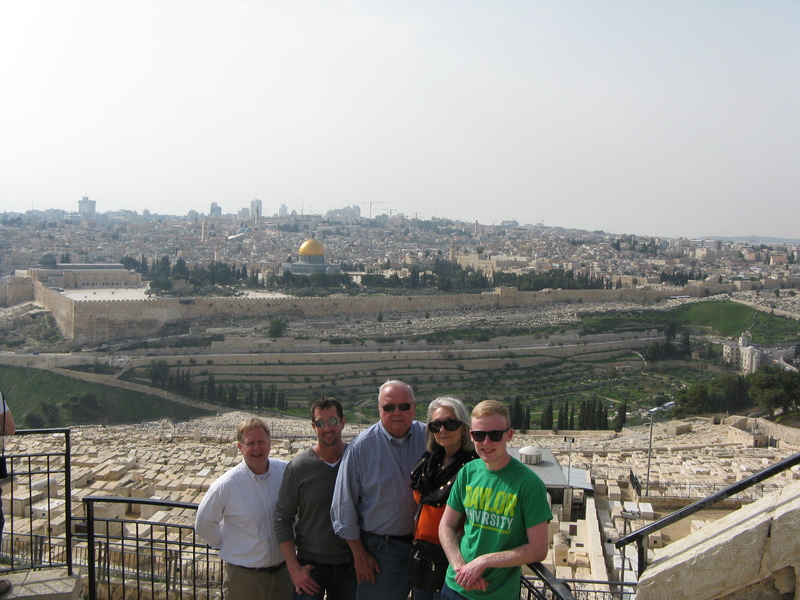 It’s been nearly five years since I went to see my brothers and sister in Christ in the Holy Land. Today, I pack my bags and return. It doesn’t seem that long ago because I’ve been so busy as pastor, husband, father. In that time, I’ve had children graduate high school, college, masters programs. One daughter has married. I’ve celebrated 25 years of marriage to a beautiful and gracious wife. I’ve been part of seeing the Refuge of Light birth and mature into the vibrant ministry it is becoming. Thank you to all who have prayed for and supported this return. Hopefully, I’ll be well under the weight limit when I get on the plane. I look forward to sharing posts as often as possible on our journey, so check back here.